Updated Tuesday March 26, 2019 by Jessica Livingston. Don't miss out on your last chance to get the early bird discount. 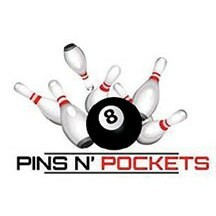 We will be at Pins and Pockets this weekend Saturday March 30th and Sunday March 31st from 12:00 - 4:00. This discount will save you $50.00 on your athlete's registration. External links are provided for reference purposes. Elsinore Valley Thunder Football & Cheer is not responsible for the content of external Internet sites. Copyright Elsinore Valley Thunder Football & Cheer All rights Reserved.